According to the latest reports Premier League trio of Arsenal, Chelsea and Tottenham Hotspur are in the hunt to sign Norwich City full-back Max Aarons in the summer transfer window. The London giants are looking to step up their pursuit in order to compete for major honors next season and a high-quality full back could be the key to take them onto the next step. Ever since taking over at Arsenal football club in the summer of 2018 Unai Emery has done quite a decent job as Arsene Wenger’s successor. The Spanish boss has stamped his authority on this Arsenal squad with whatever budget he had in the summer transfer window and almost all of those signings barring Stephan Lichtsteiner have proved to be quite impressive. Emery inherited a team that the legendary French manager had a hold of for 22 years but has brought about some changes and a breath of fresh air into the club. In just over six months at the club, Emery has led Arsenal to sixth place on the Premier League table at the moment and the North London side is still in the hunt for a top 4 finish at the end of the season. A Champions League spot for next season would be considered a successful season but Arsenal still has to improve in a few departments. 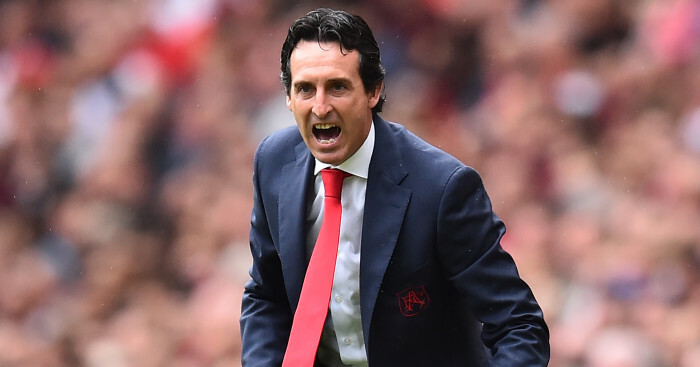 One major cause for concern at Arsenal is the leaky defense as the club has a few injury concerns and will be looking to finally solve up their issues in the upcoming transfer window in the summer after not making a big impact in the winter. Along with Lichtsteiner’s contract expiring in the summer, even Carl Jenkinson might follow the Swiss international. Emery stated that Arsenal was only going to sign players on loan in the January transfer window and only Spanish midfielder Denis Suarez arrived on a loan deal from La Liga club Barcelona. However, to solve the defensive issues at the Emirates, Arsenal is now looking to sign Norwich City fullback Max Aarons in the summer. Having conceded 36 goals in 25 League games so far, the Gunners have endured another nightmare of a season at the back but Aarons could help fix up those issues in the right back spot. Aarons is just 19 years of age and has attracted interest from Spurs and Chelsea as well. The English right-back has cemented himself as a regular at Norwich and has helped the Canaries to the top of the table in the Championship. In 27 appearances across all competitions so far this season, Aarons has notched up three goals and four assists and also looked defensively solid. Norwich will be trying their best to keep hold of the talented youngster in the summer at Carrow Road but if the Canaries get promoted to the Premier League, it will be difficult to turn down big offers. At the moment, Norwich has slapped a £15 million price tag on Aarons, who is also capable of playing at left back. Spurs are currently leading the chase to sign the 19-year-old defender but Arsenal will be hoping to pip their fierce rivals.